is the third in Gilbertson’s “Madeline Island” series. Eau Claire native Jay Gilbertson is a beekeeper, pumpkin seed oil producer (the nation’s first), hospice volunteer, and an ex-salon owner, but he is most well-known as an author. Gilbertson refers to his genre of writing as “Lady Lit,” mostly aimed at women in their 30, 40s, and above. Gilbertson wrote Moon Over Madeline Island in 2005 and Back to Madeline Island in 2006 about quirky, lovable characters and rarely discussed issues. 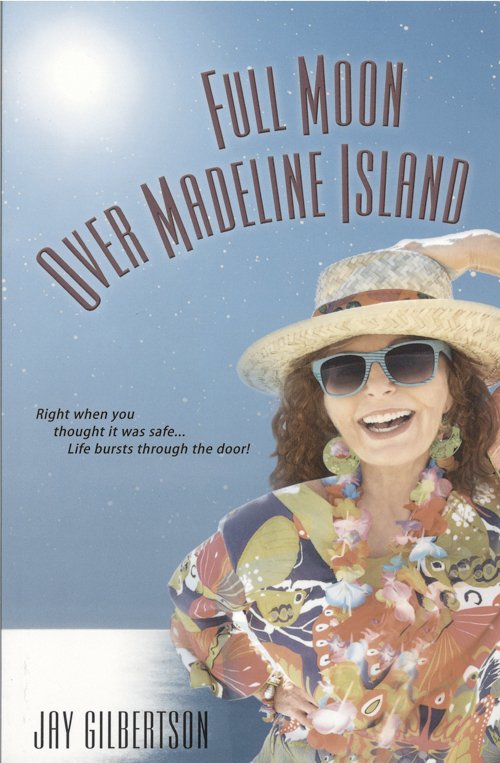 His third book in the series, Full Moon Over Madeline Island, was just released. A lucky discovery by Gilbertson’s “wonderful agent” brought this manuscript to life when it was found in the bottom of a box after it was believed lost in a tragic house fire several years earlier. Although this book is the third in a series, it still stands alone as a novel that can be read out of order with the others. Gilbertson says he is most proud of this book because of the way his writing style has changed since the previous novels after he went to a writing workshop that was held – appropriately enough – on Madeline Island. The story focuses on Eve Moss, a 47-year-old single, independent woman and her best “gal pal,” Ruby. The two women live in a cottage on Madeline Island where they have an apron-making business. According to Gilbertson, “A lot of the story unfolds when these characters talk to each other. … And they’re all ‘characters.’ ” Some of the main themes that run throughout this novel are that of relationships and women’s issues that are conventionally difficult to talk about such as miscarriages, teen pregnancy, and adoption. Full Moon Over Madeline Island and other books by Jay Gilbertson can be purchased at The Local Store, 205 N. Dewey St., on Amazon.com, or on the author’s website, jaygilbertson.com.